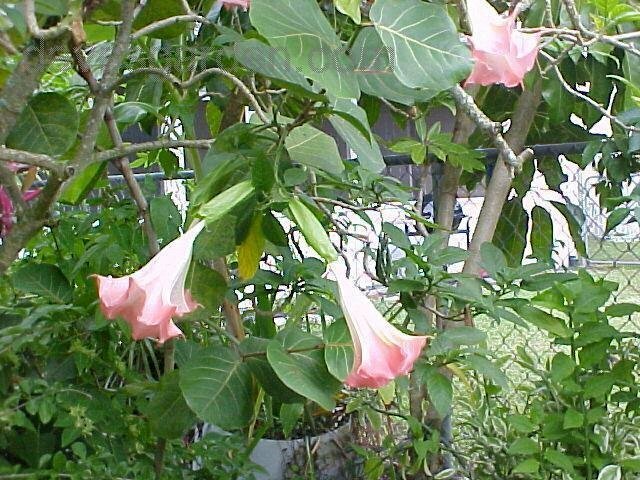 At times Frosty Pink is loaded in blooms. 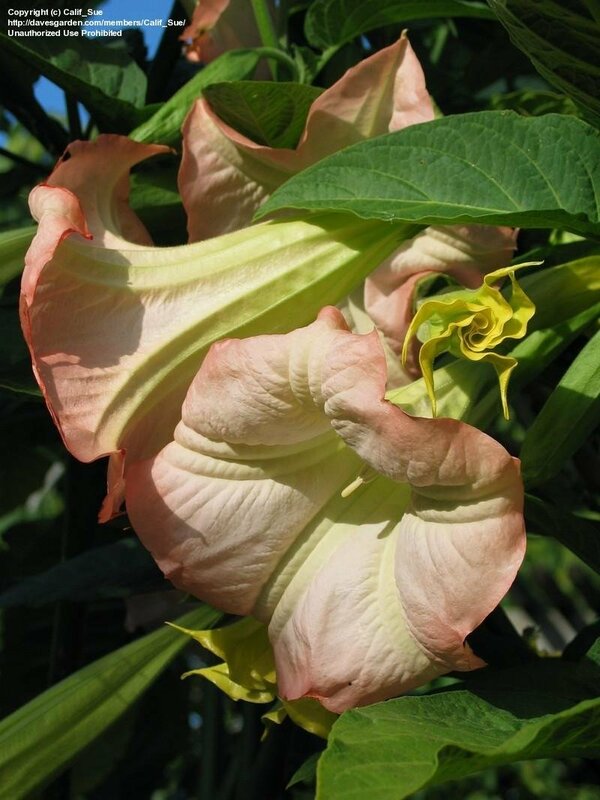 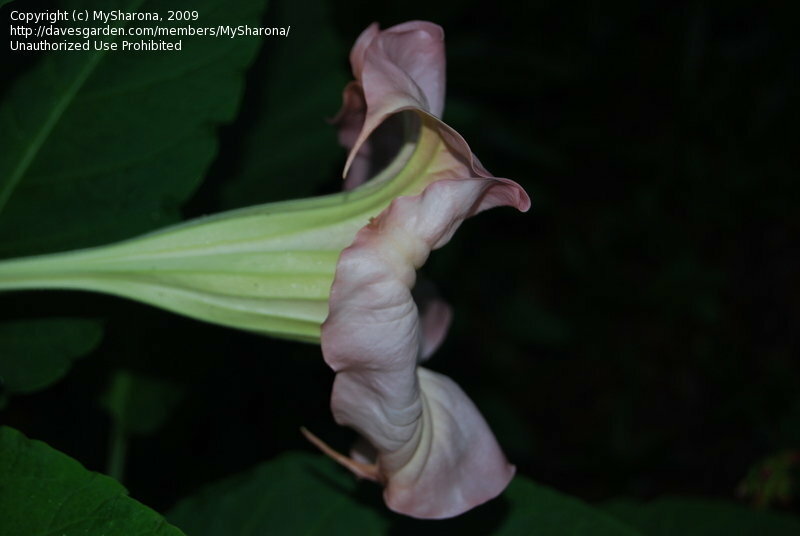 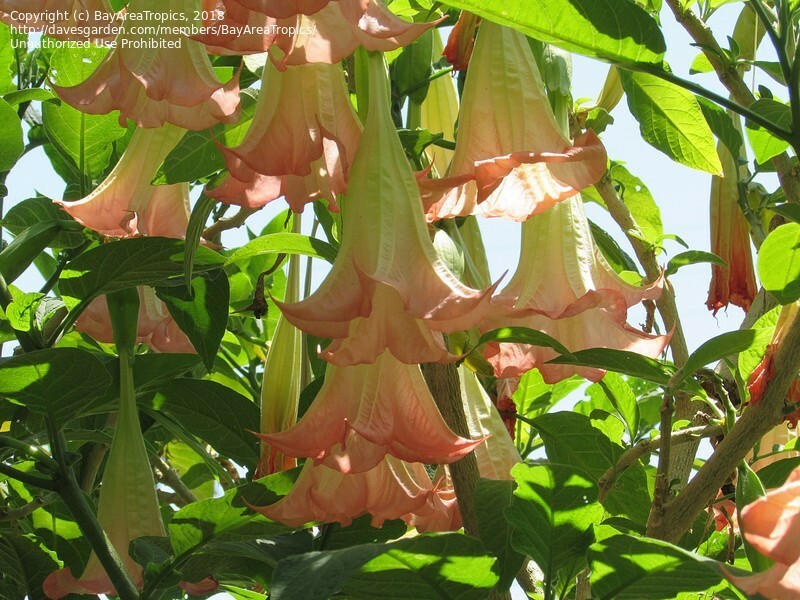 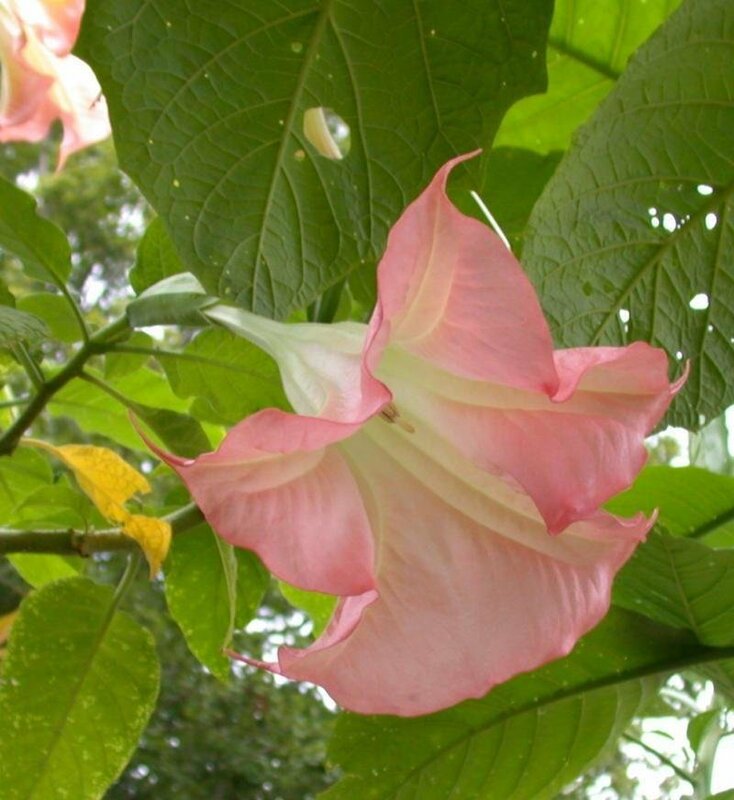 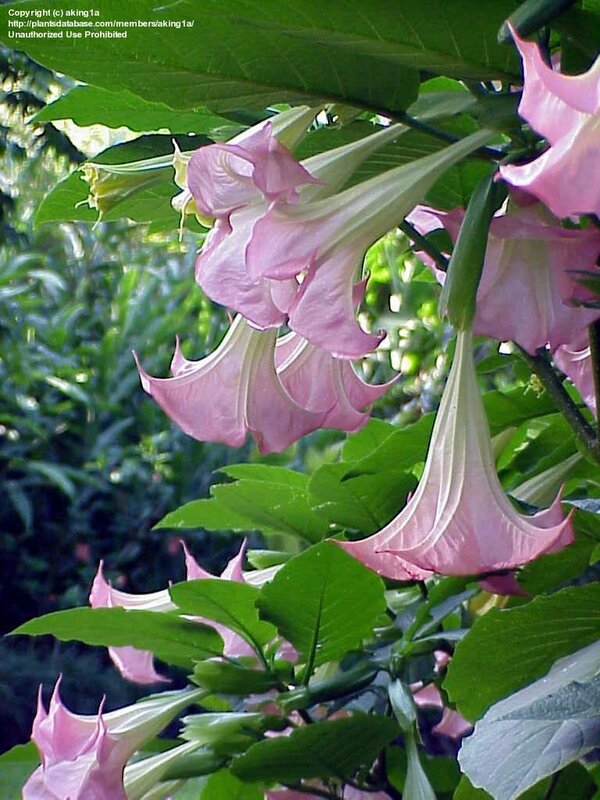 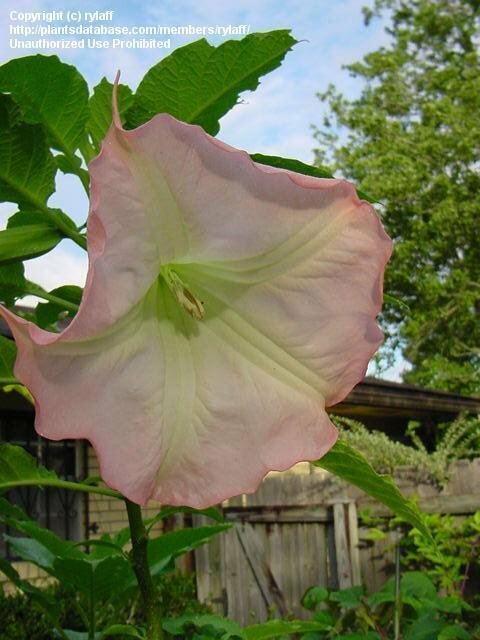 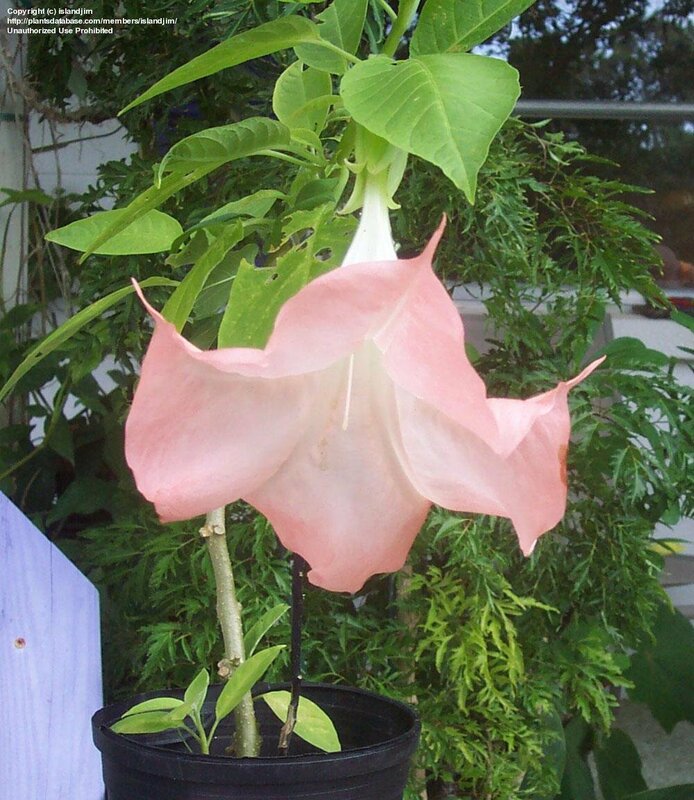 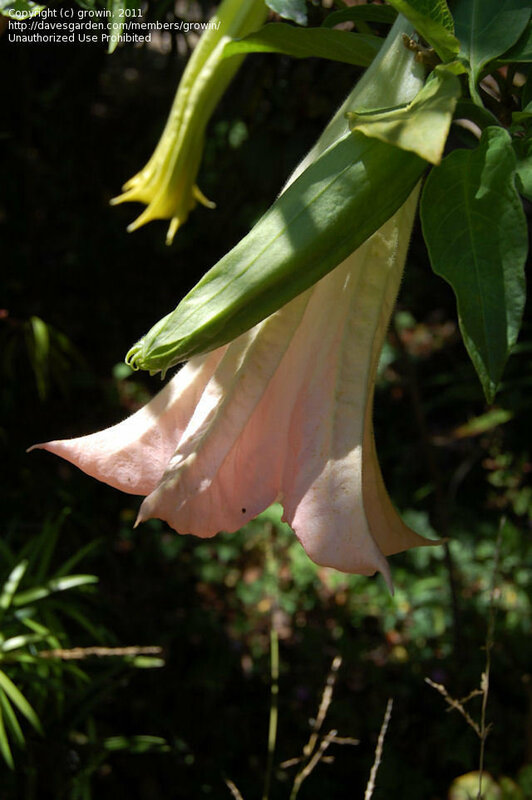 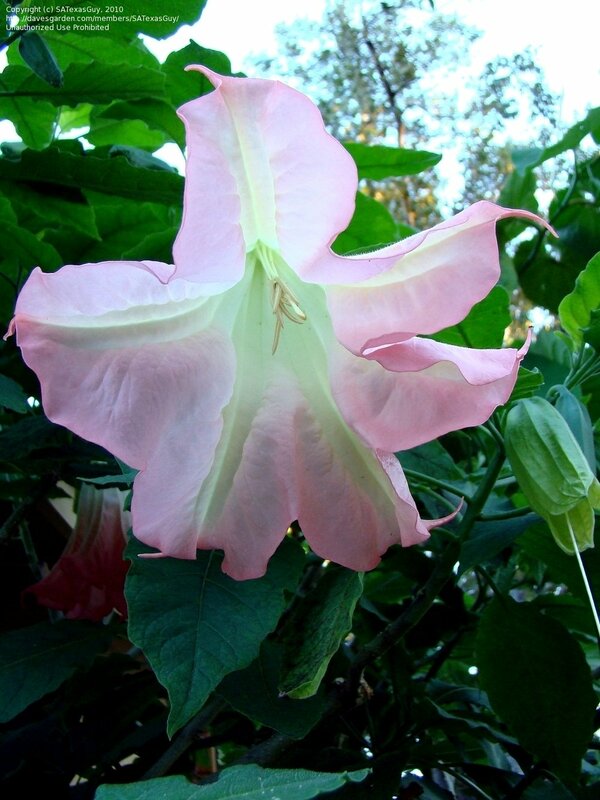 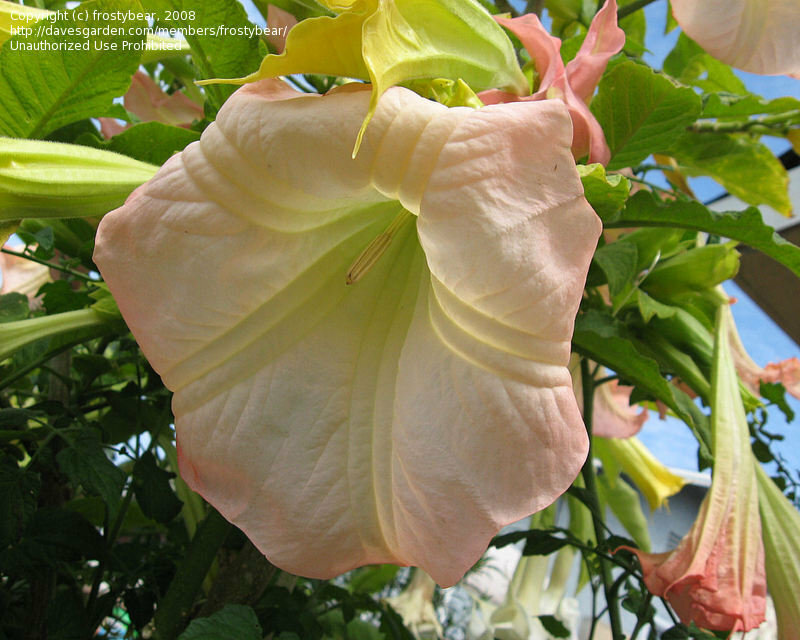 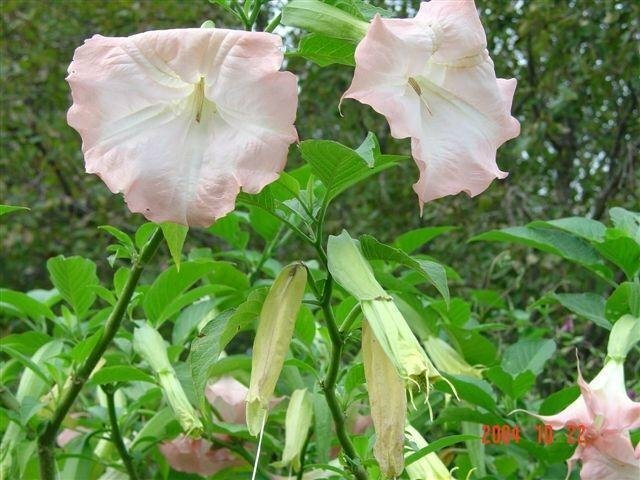 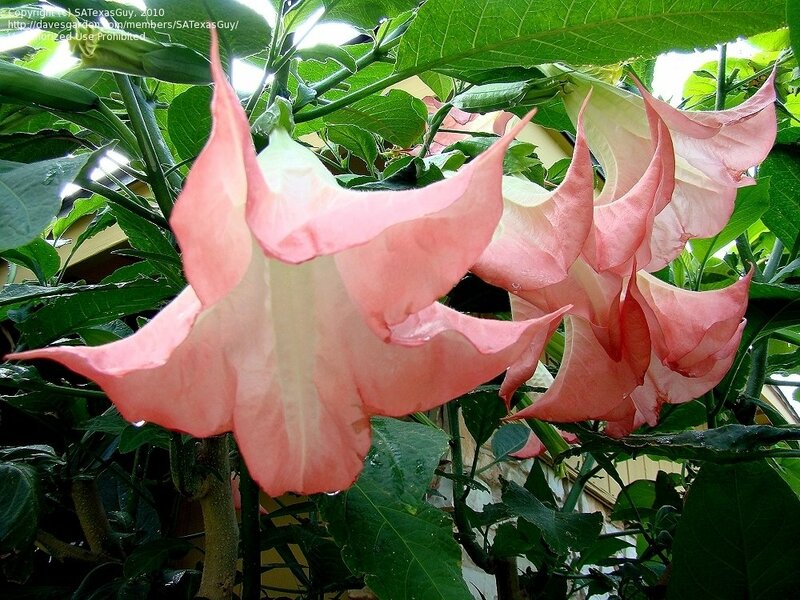 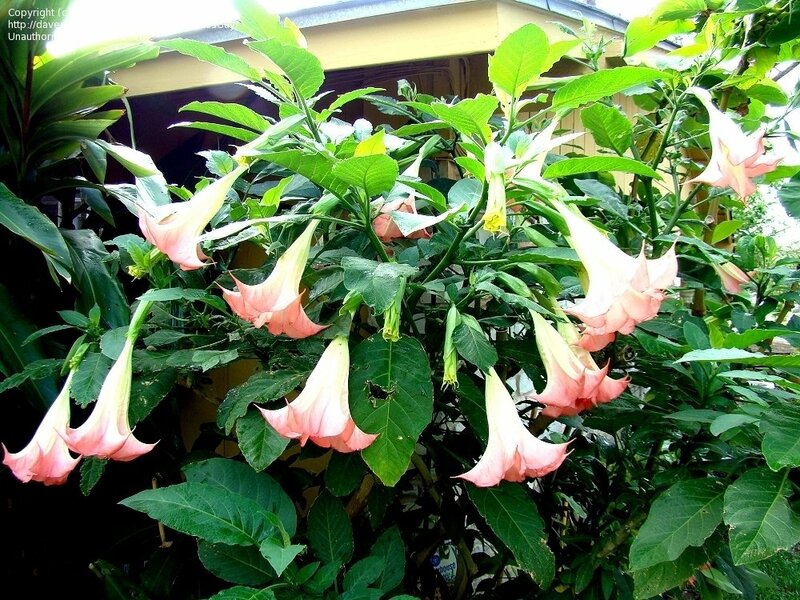 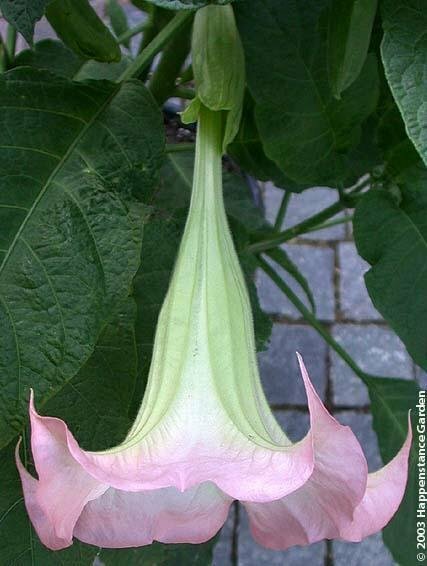 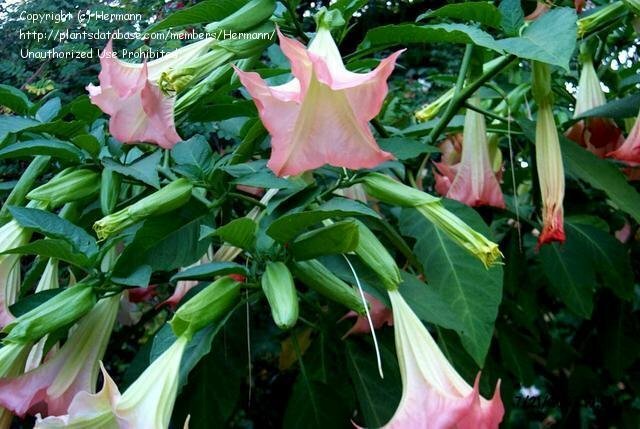 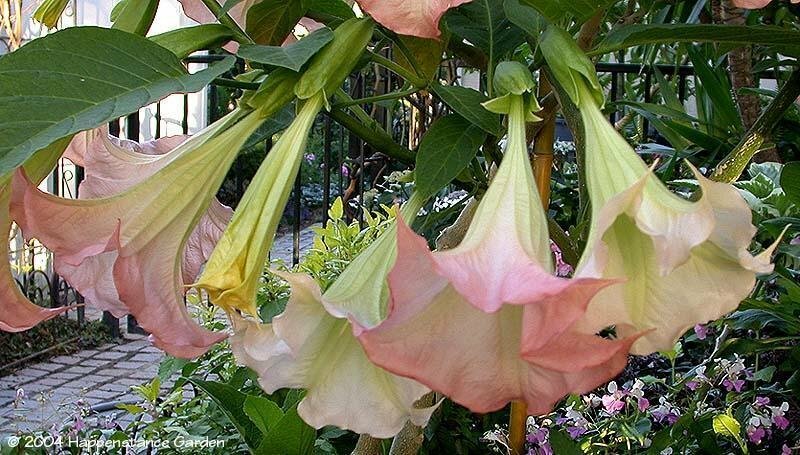 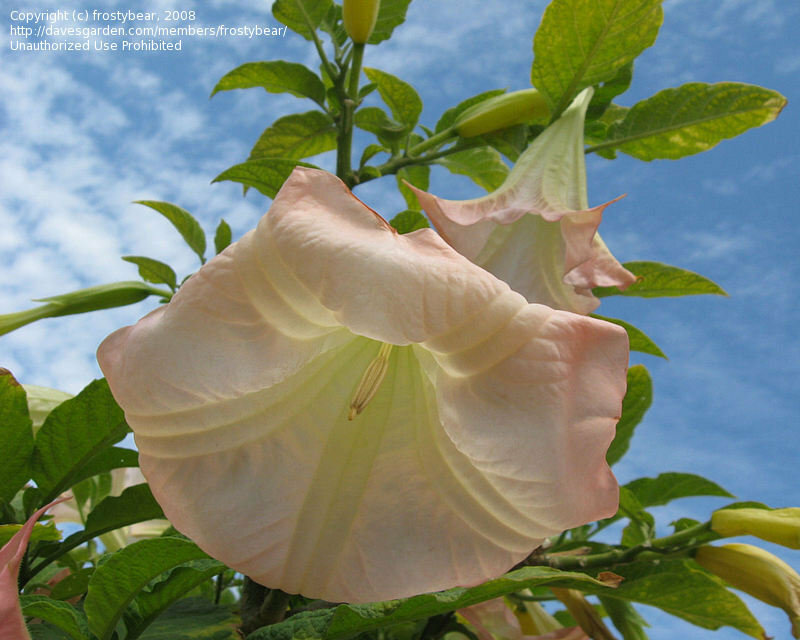 Large bells open pale and change to deep pink as they age ..especially in winter. 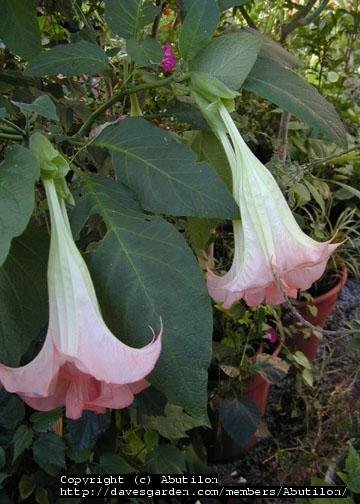 This one continues to bloom through winter in my cool glasshouse zone 6. 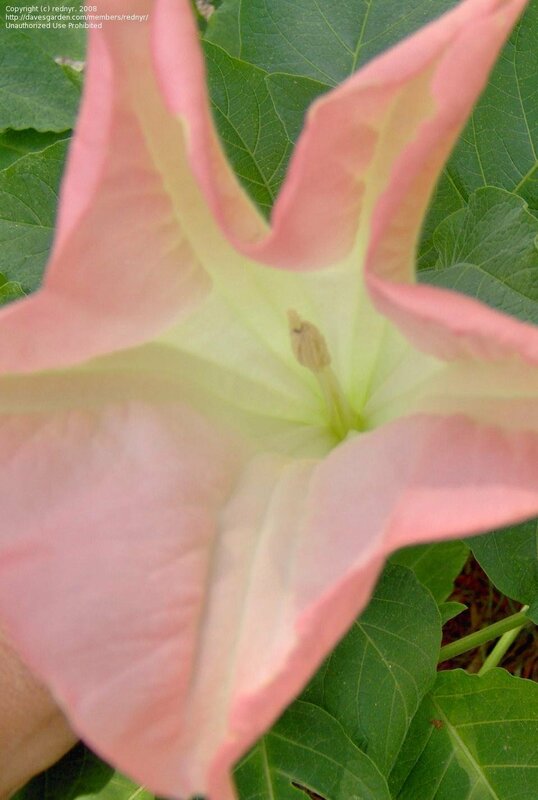 Another of my Frosty Pink. 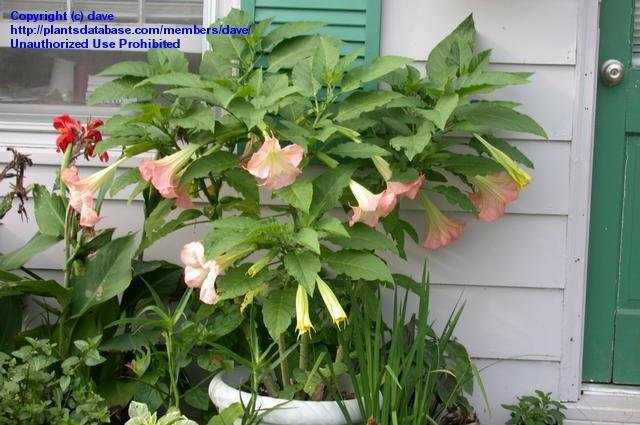 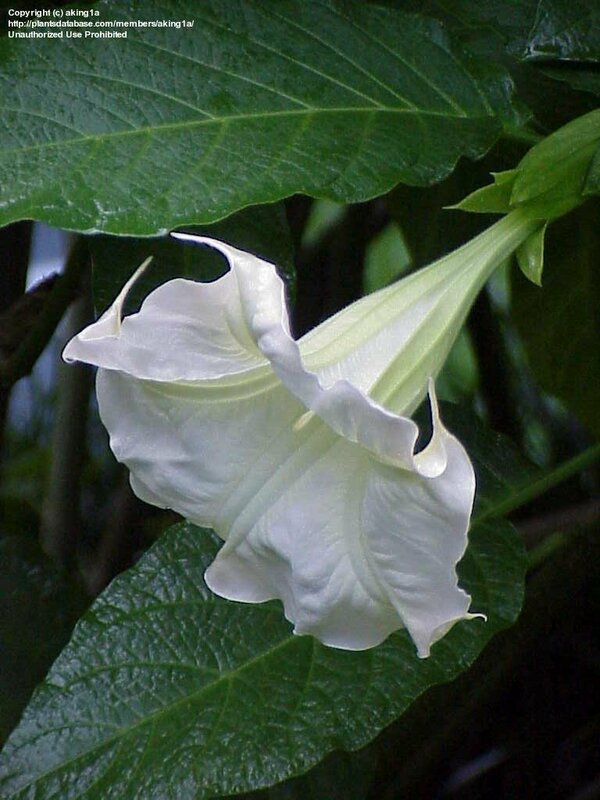 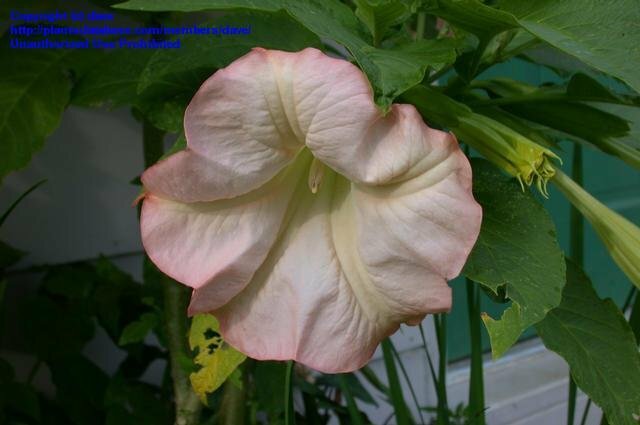 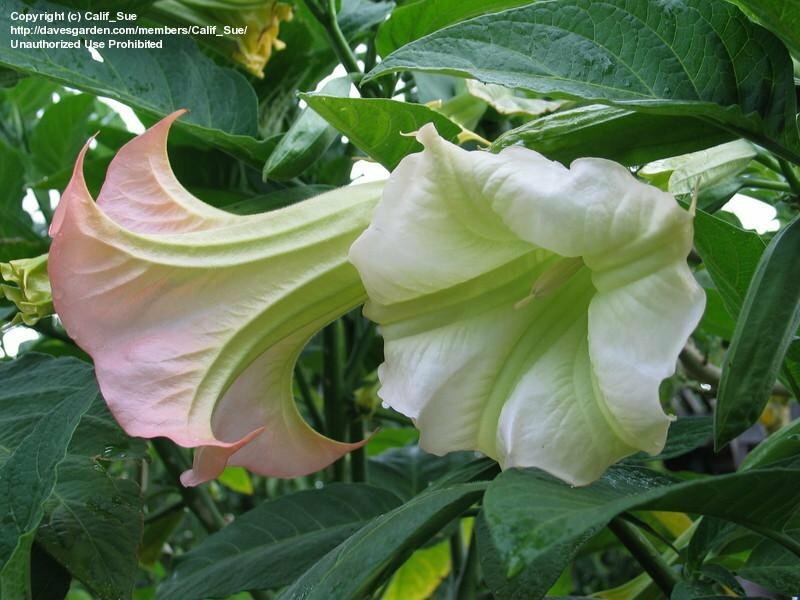 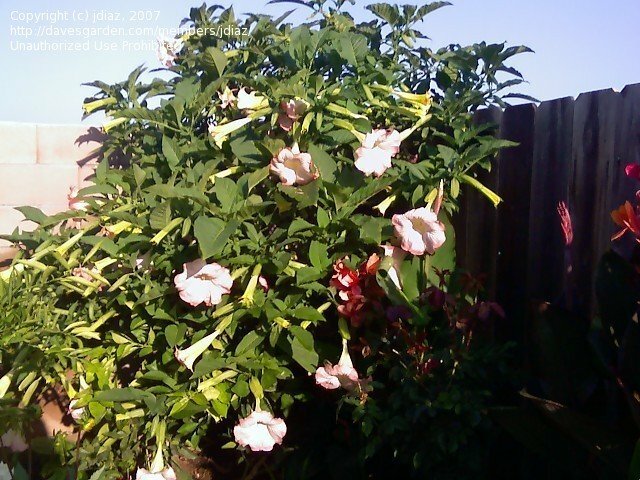 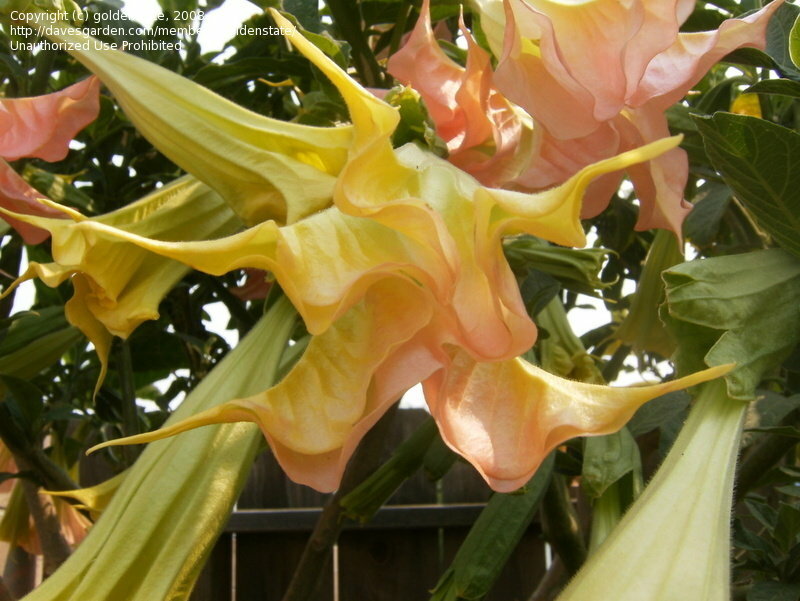 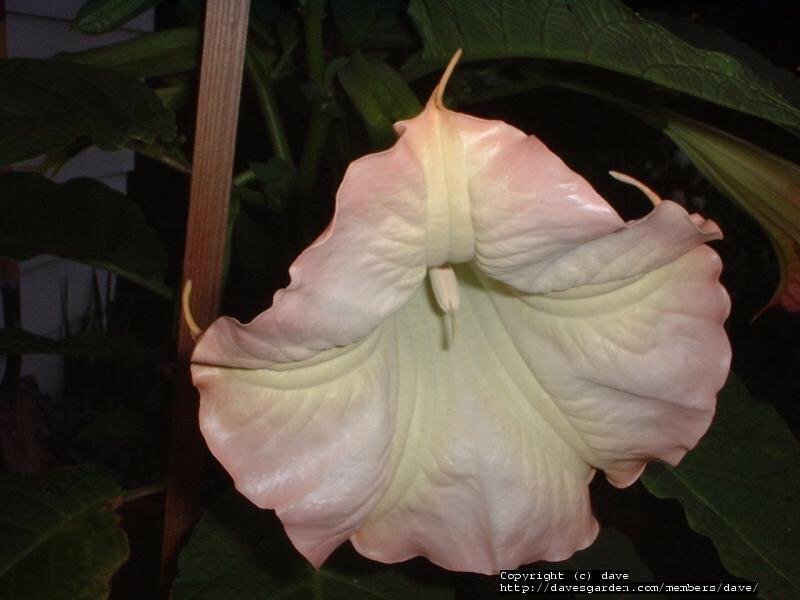 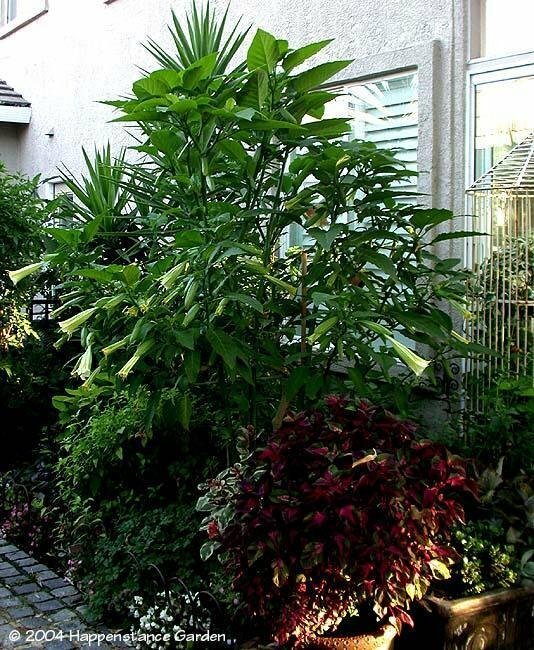 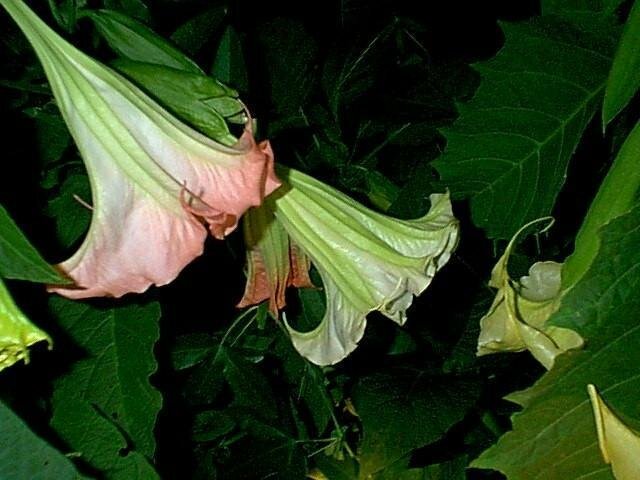 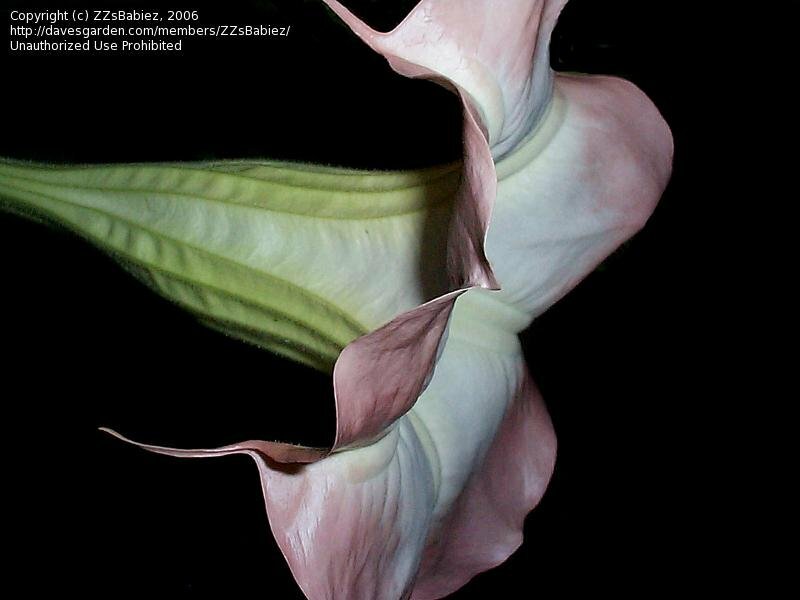 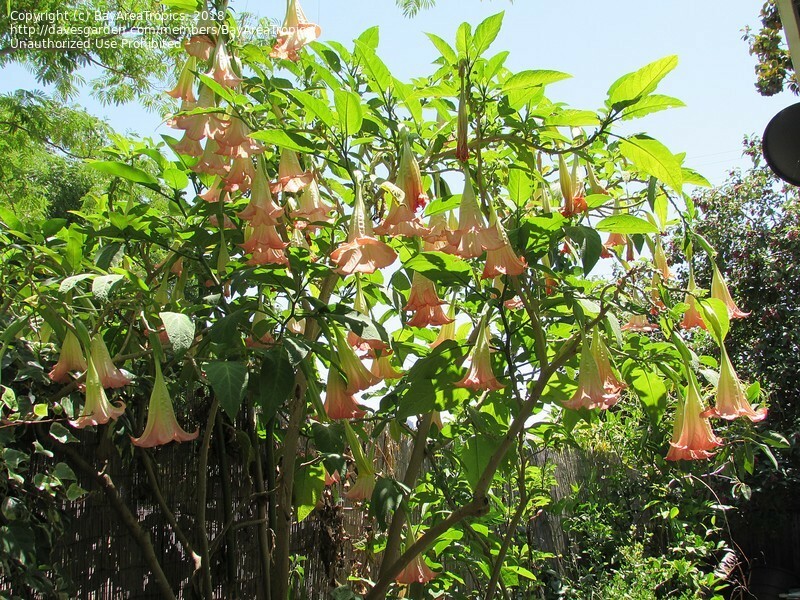 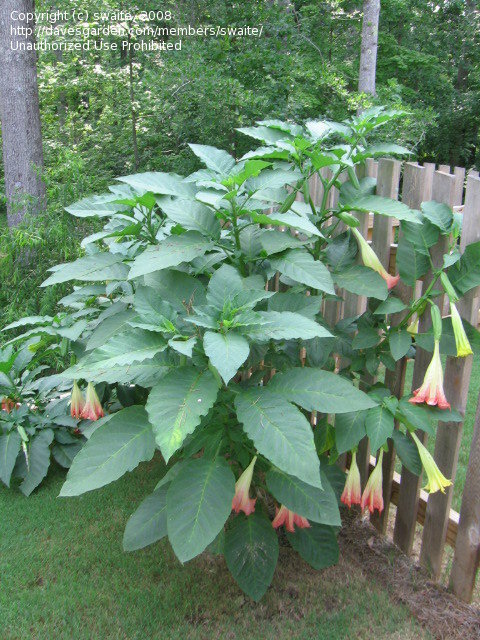 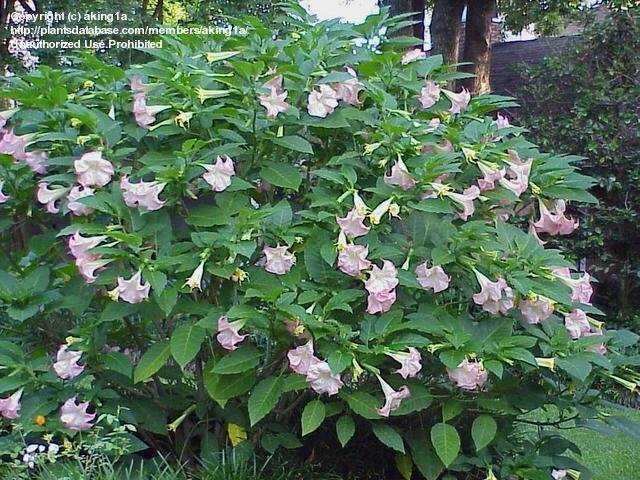 This plant is about 10' and loaded in hundreds of bells in bloom flushes. 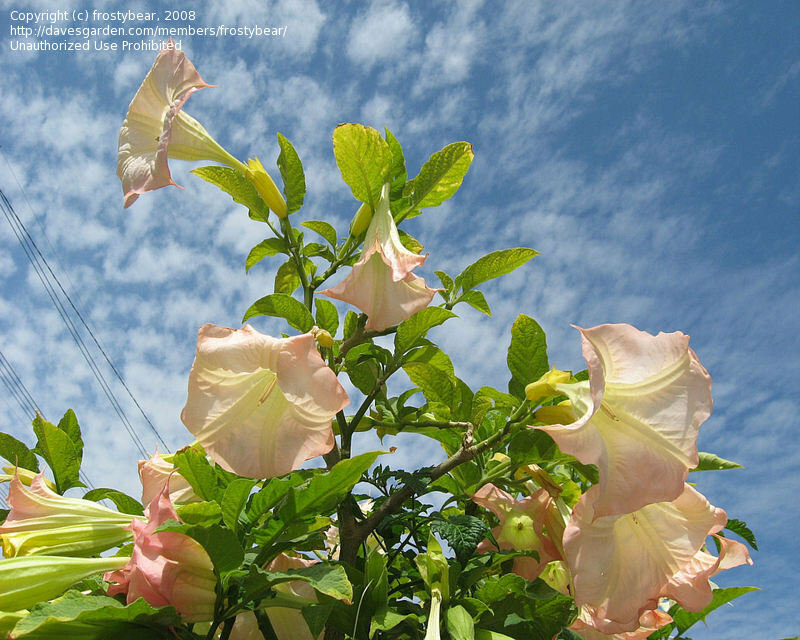 Colours are much deeper and a larger variety of shades in winter. 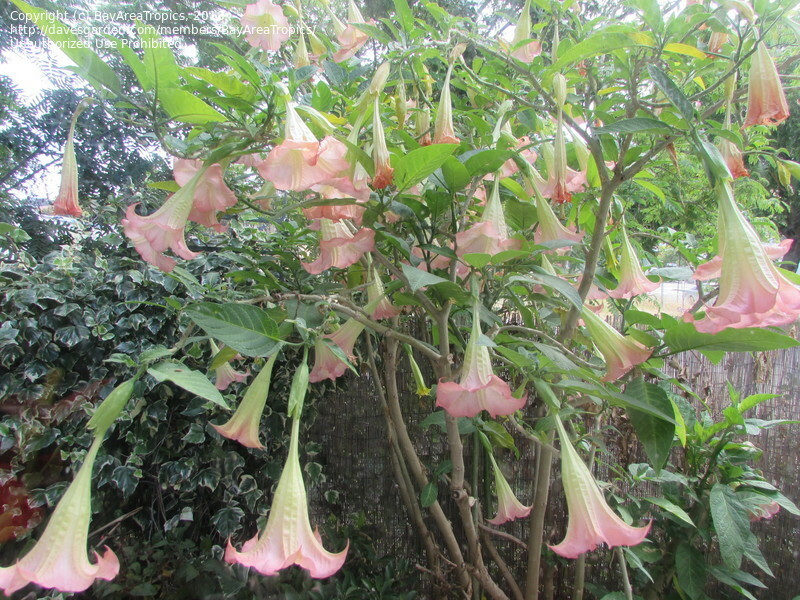 This one continues to bloom through winter in my cool glasshouse zone 6. 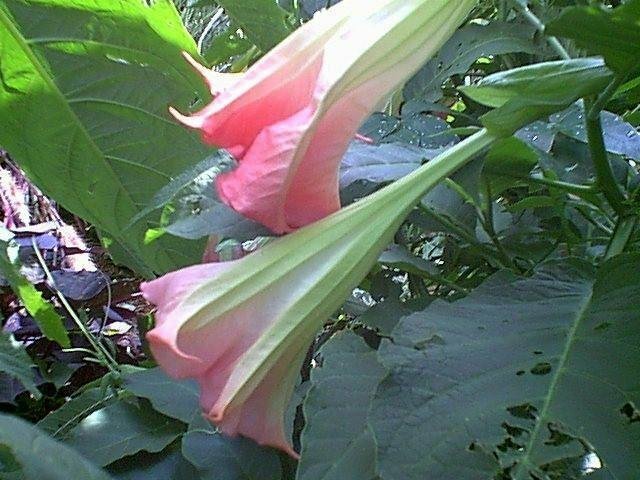 Found at the Rose Garden, Washington Park, Portland Oregon. 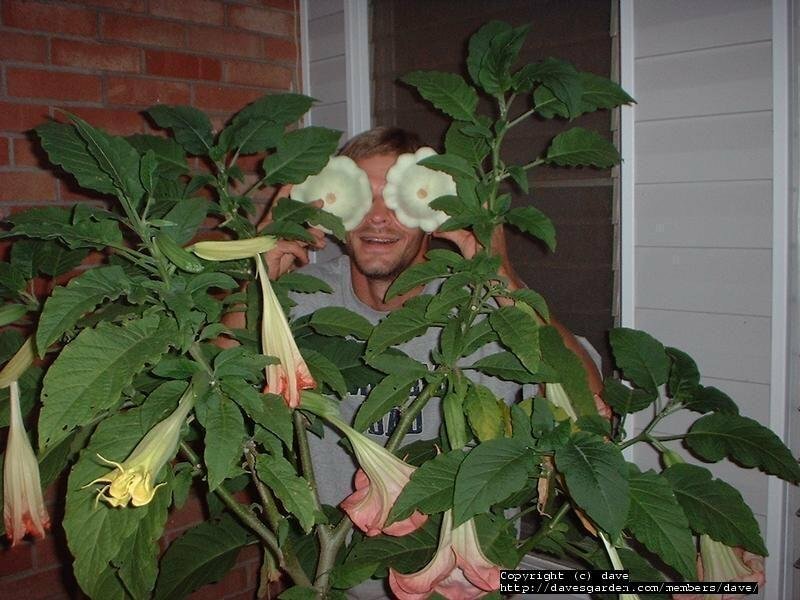 The glasses are given as a size reference as I did not have a ruler with me. 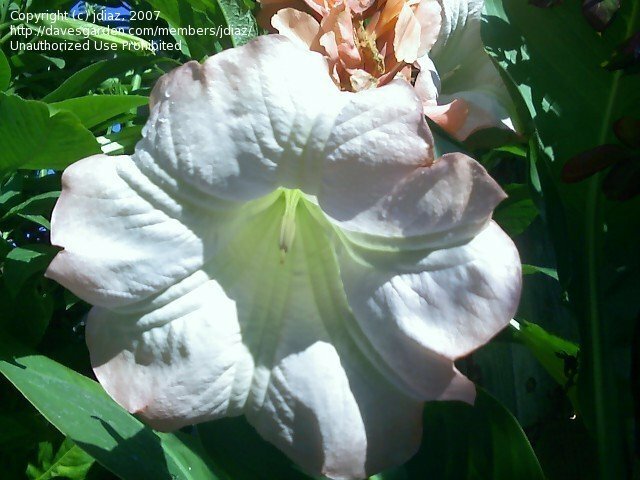 Found at the Rose Garden, Washington Park, Portland, Oregon. 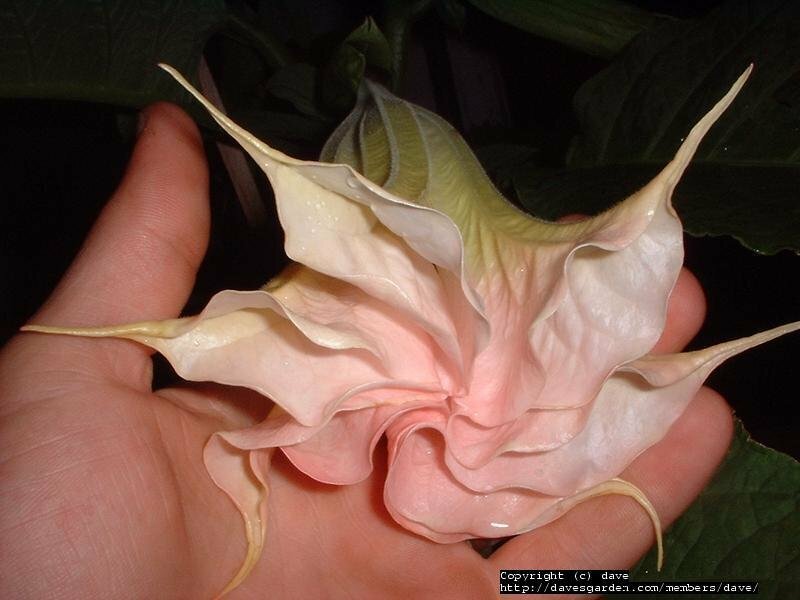 This picture also shows a developing seed pod. 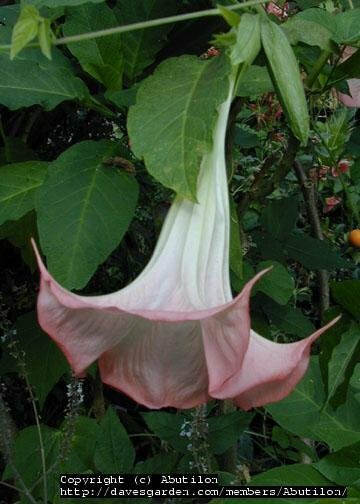 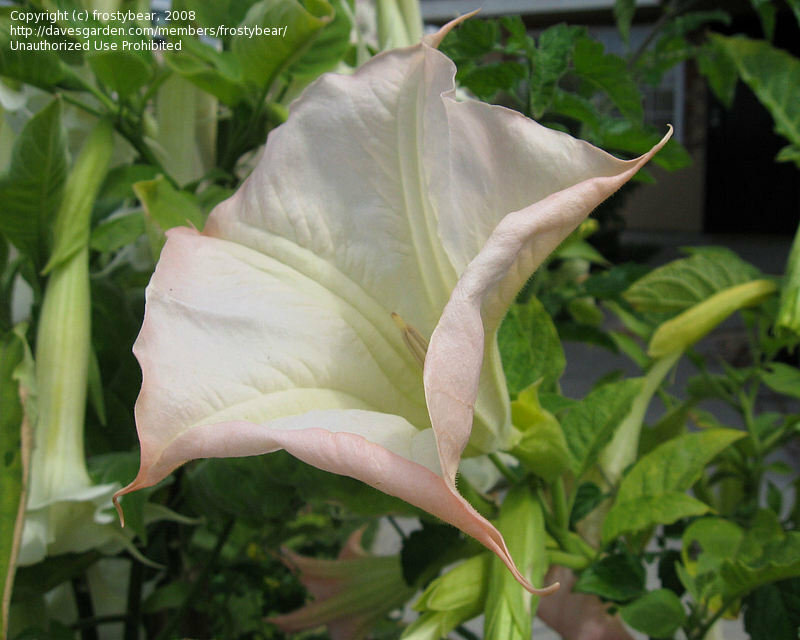 On day 3, white trumpets turn pink. 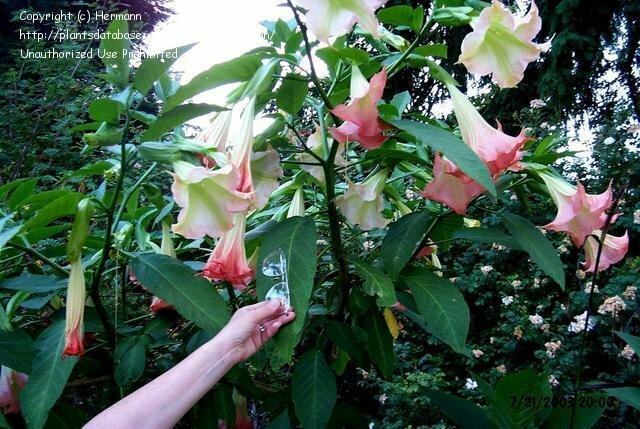 There must be 400-500 flowers. 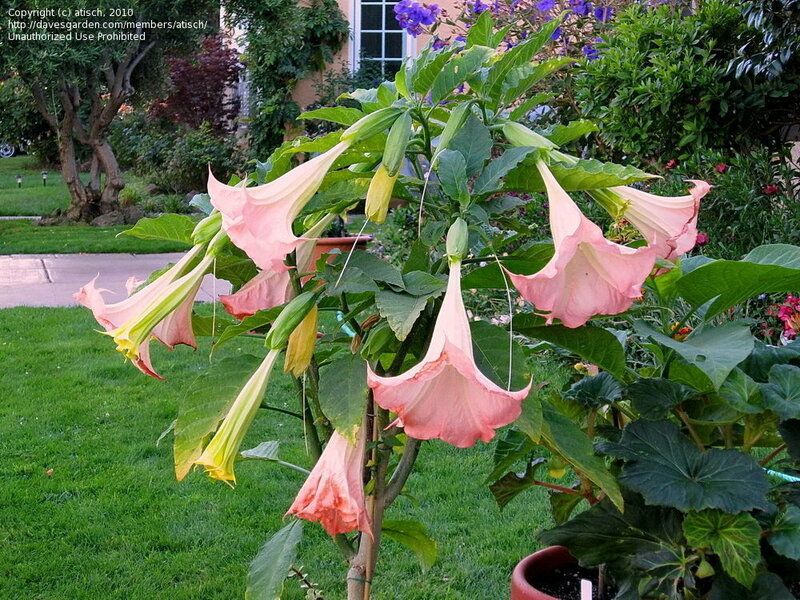 Note that trumpets do not hang down in earlier stages. 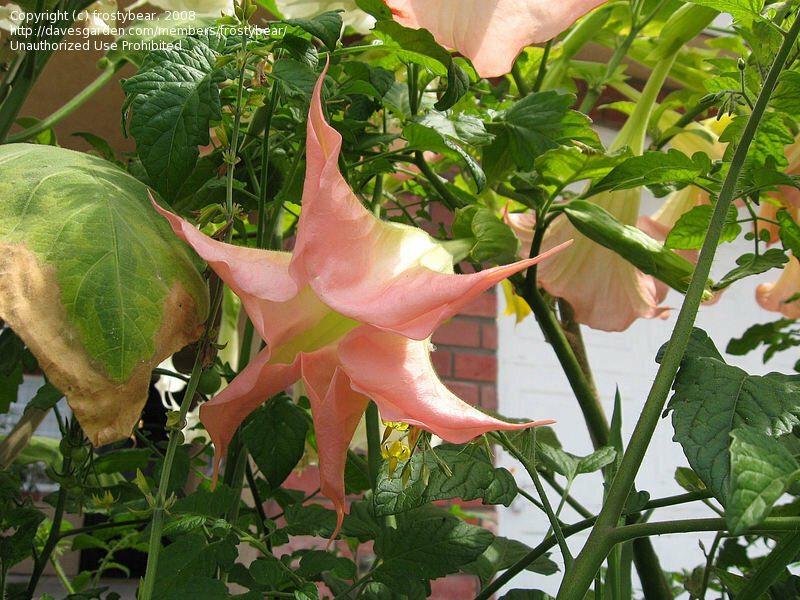 The light pink will change to a deeper peach color as it ages. 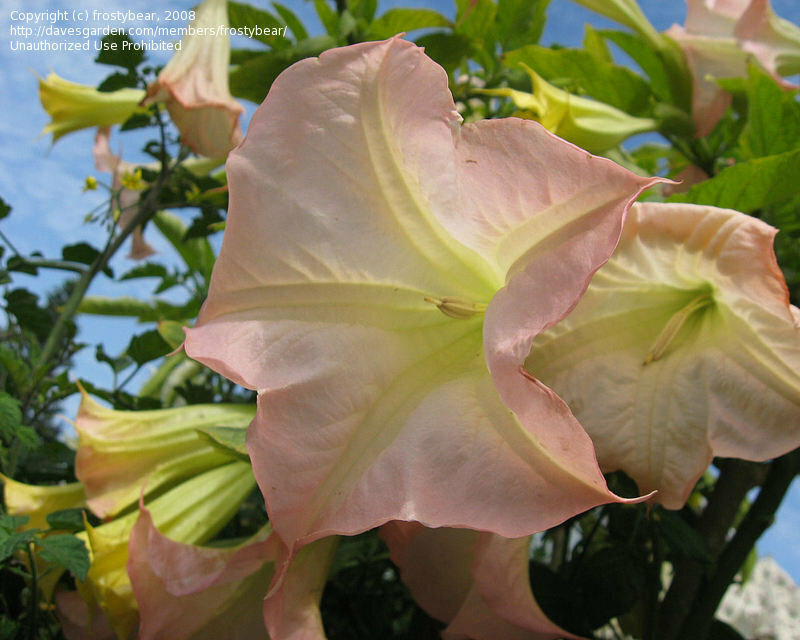 "Shades of Frosty" - variety of color development on this great bloomer. 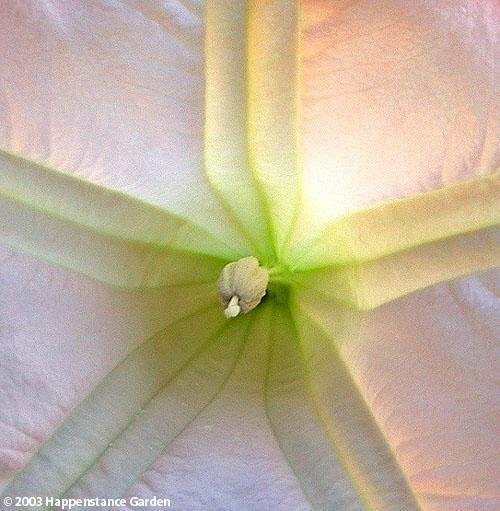 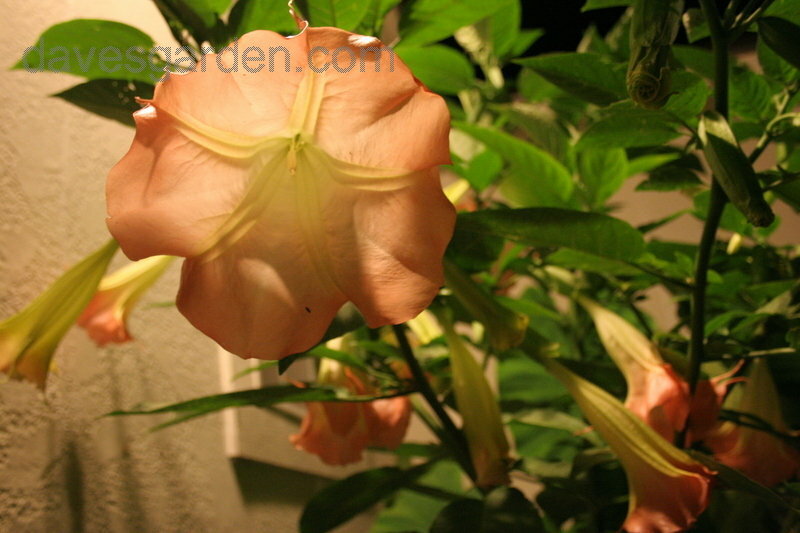 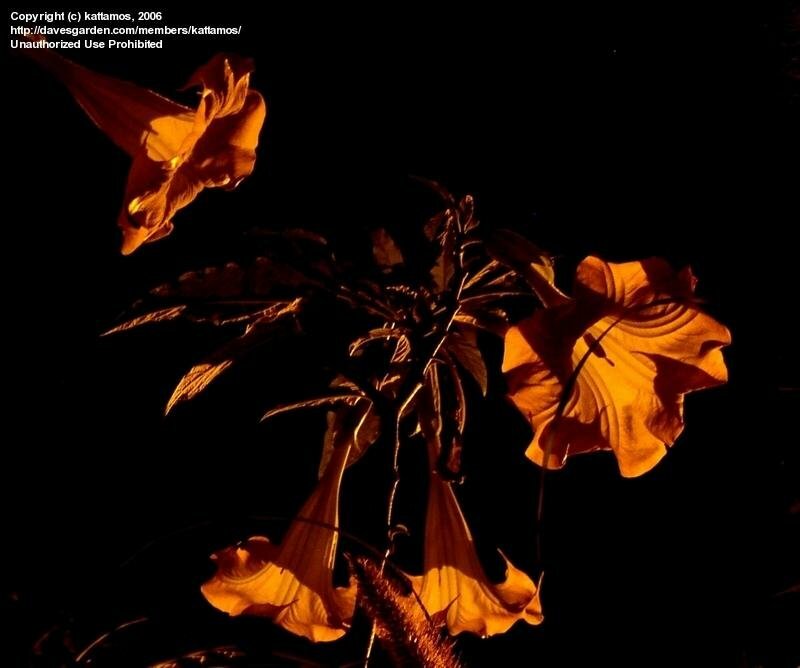 This is a night shot of my Angel Trumpets. 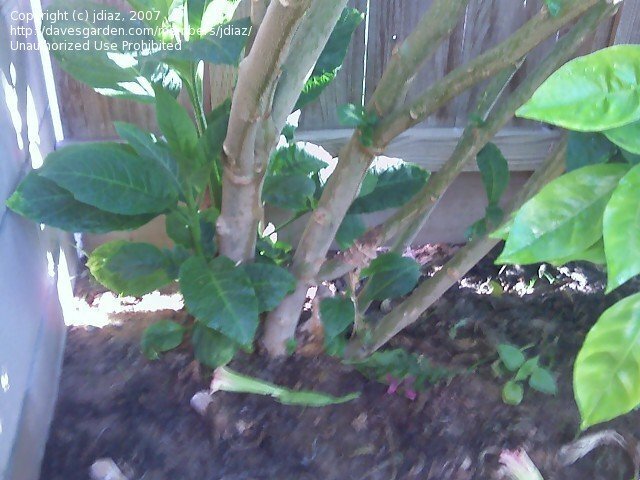 Close up of trunks. 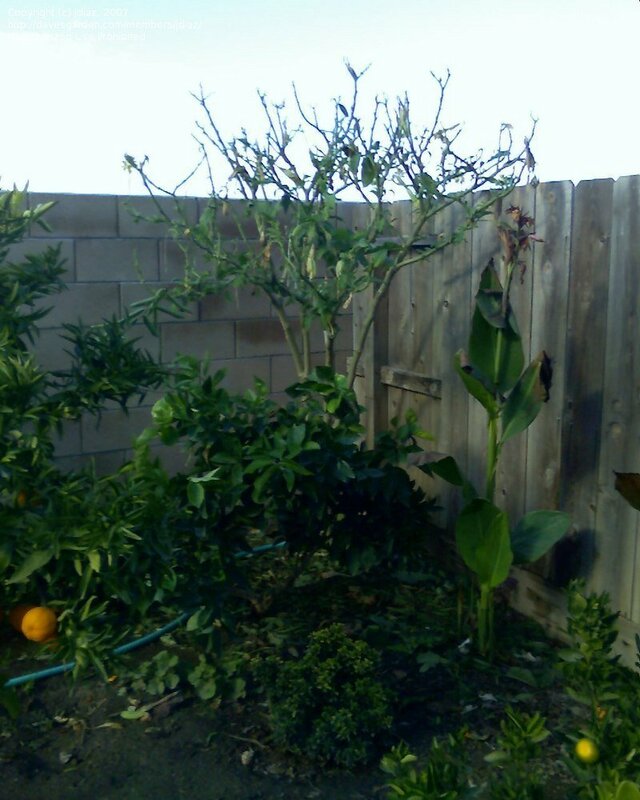 This is one season's growth. 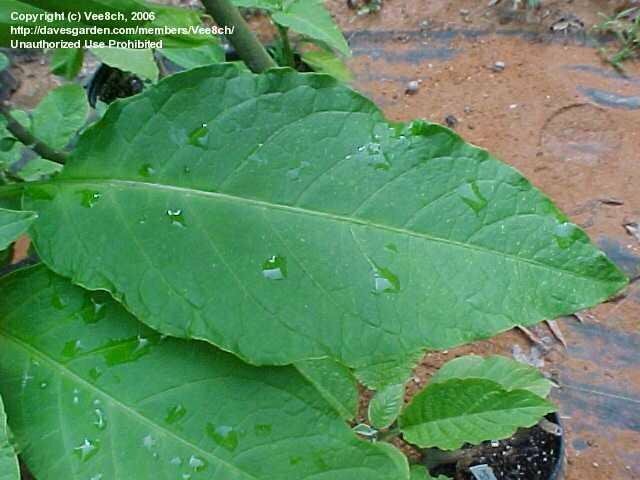 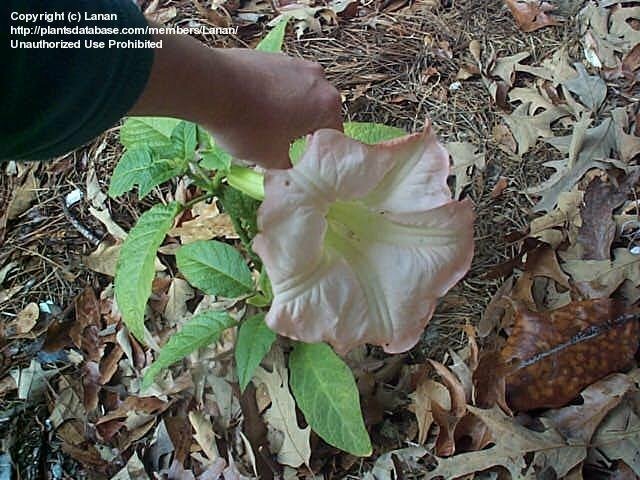 It froze completely to the ground during a freeze in Jan 07, but resprouted and grew to over eight feet tall and about seven wide w/ multiple trunks. 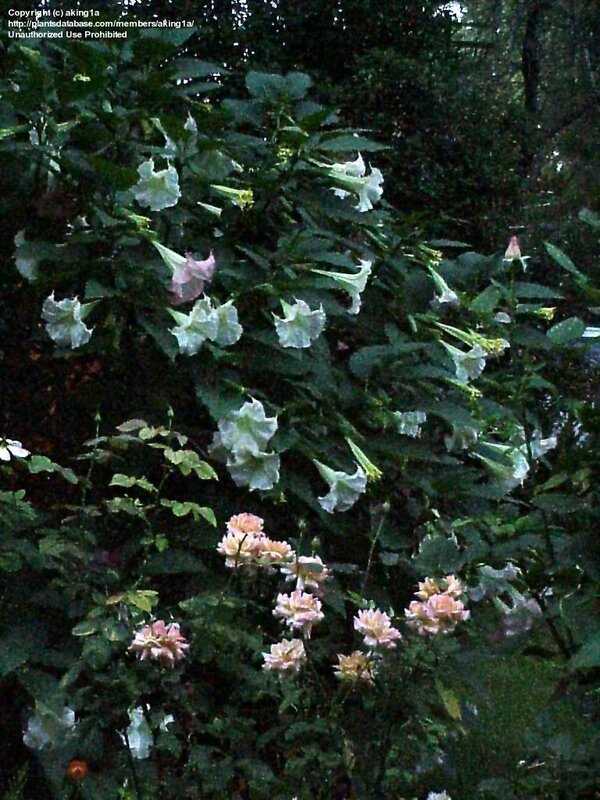 You can't ever have enough angel trumpets in the garden..
Acworth, GA two angel trumpets that grew to over 6 feet within one summer time! 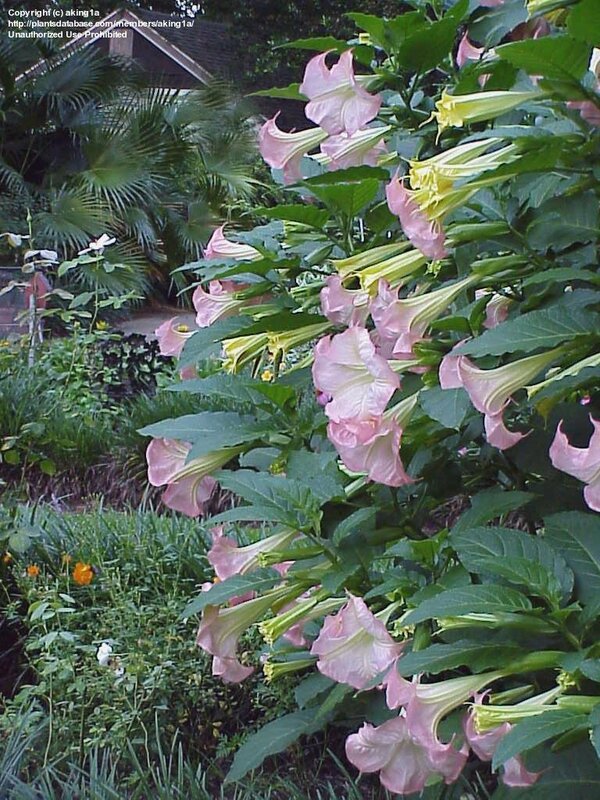 Cool foggy day- what they love.